From six course seated affairs to the casual elegance of a self-serve buffet, Regional Flavors Catering will cater to your every special occasion whim. Wedding celebrations are our specialty. With complete food and beverage services available, we’re your premier off-premise caterer for events ranging from 10 to 400 guests. Along with full custom created menus for seated affairs, we also offer delicious buffet, ala carte, and farm to table options, perfect for every budget. Having a themed wedding? 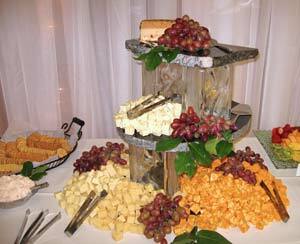 We will work with you to create a menu that best compliments the theme, venue and look of your special occasion. Or, if are you are searching for a venue, we can recommend several beautiful reception halls and event venues. 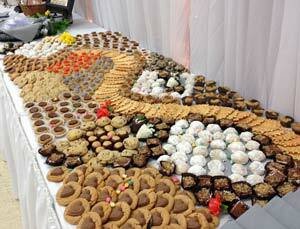 Cookie table presentations- view our gallery for tempting evidence! Check out our calendar for availability and view sample menus to the right. Request a quote now by filling out the form to the right, or call us for further information!